1.What's the process to purchase a custom bobble head? a. Choose the body from our standard body list. You can also require making a completely custom body. b. Upload your photo; we will make the head according to your photo. c. Choose the color of the hair & skin you want. e. Waiting for your proof photo and pay the balanced 50% payment if you are satisfied with the proof. 2.What's the lead time of a bobble head? revisions and a complimentary proofing process, every change will require additional 2-3 business days. 3.How shall we send the payment?Are they really safe and secure? information (such as credit card numbers) will be 100% safe. Paypal account to complete the payment. 4.Will my bobblehead look exactly like the photo? Bobbleheads are also known as a 3D cartoonization. This means that the dolls will resemble the person on the photo but also with a slight cartoon effect,which is normally added by the artist. This cartoon effect is what makes this product so popular as an amazingly funny and unusual gift. An exact replication of the persons face is not always possible as photos are sometimes simply not enough to capture the true nature of someone’s face.However, our artists will create your figurine in most cases with a very high degree of resemblance. 5.What is proofing? Can I require to improve it if I don't like? 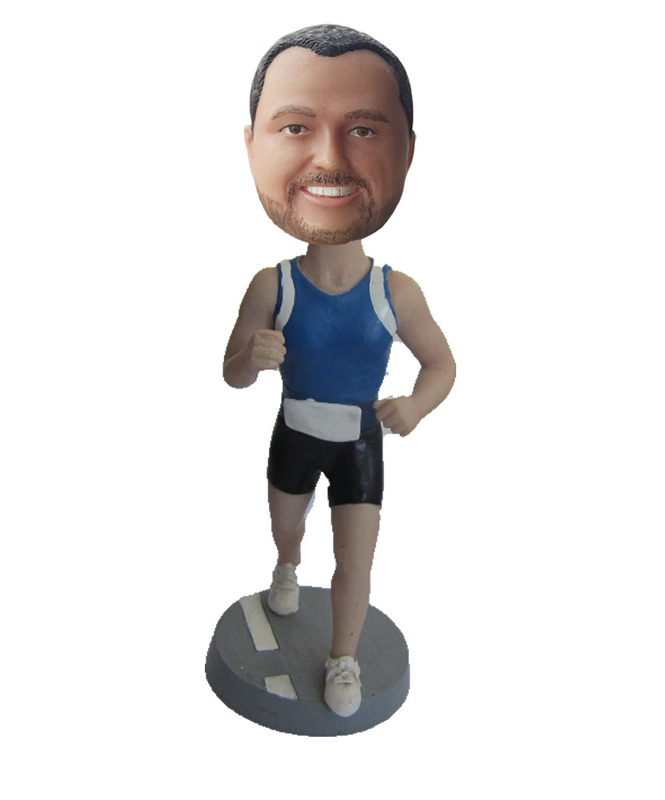 We will send you in-process preview photos of your bobblehead during the creation stages. You are able to suggest changes to our artists after you have viewed these proofs. Normally 90% of our customer will be satisfied with the first proof. Anyway, if you need any improvement, just inform us, we will revise it and send you improved proof until you are satisfied. This procedure ensures that you will be fully satisfied with the final outcome. 6.What's the price of a bobblehead? The price of single bobblehead starts from $75 and double bobbleheads start from $150.Identical Copies as low as $20! Please find bobbleads price list. 7.Where can you ship to? We can ship to worldwide with DHL, Fedex,USPS or TNT service. Our low flat rate shipping rates cover worldwide shipping. There are no extra fees for the shipping of our products to any worldwide location! 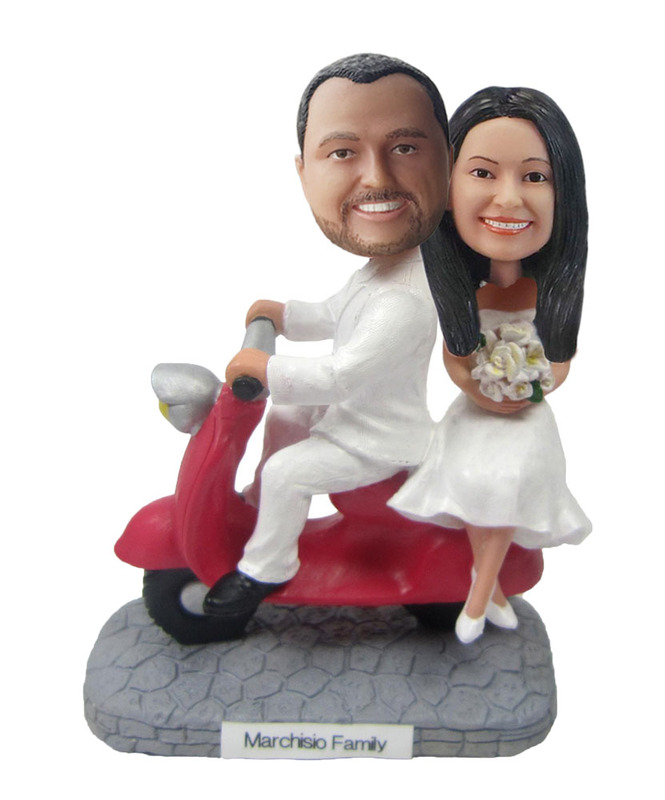 Many of our customers purchase our custom bobbleheads as gifts, often for family and friends who are living abroad. Thus, our flat rate shipping provides a great way to save costs on such international deliveries. 8.What if I don't like my bobblehead? Do you offer refunds? Yes. We will refund your money if you decide at any time during the creation process (pre-shipping) that you don’t like your bobbleheads.We will refund your money if you decide at any time during the creation process (pre-shipping) that you don’t like your bobblehead.Only a 50% cancellation fee applies to avoid non-serious “fun orders”. 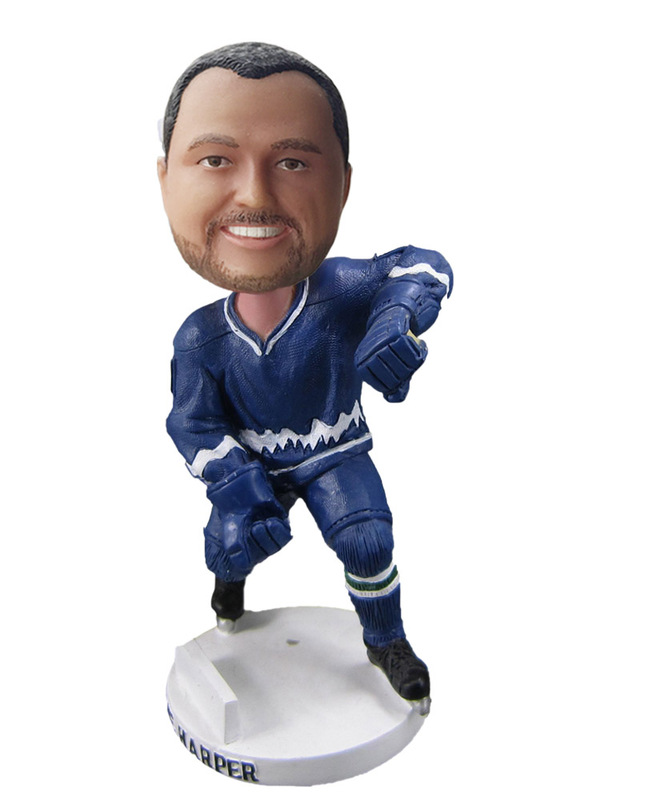 No refunds are possible after you have approved and received your bobblehead. 10.What if the bobblehead got broken when it arrives at my door? 11.What's the weight of the bobble head? hat, car etc, which will affect the weight. But generally, the weight of a single bobble heads is about 450G. 12.Why are additional identical copies so low-priced? Additional identical copies can be very favorably priced if these identical copies are ordered at the same time as the prototype. We can use the same mold for the production which allows us to save time and therefore costs, so considering amazing additional copies for everyone! 13.Where can I find your bulk order prices? 14.What are standard bodies, and what exactly is 100% custom made? Standard bodies are pre-made stock bodies. You can personalize them by changing a stock body's color and of course adding your head on top. 100% custom made bobbleheads will have not only your head but also your complete body, all sculpted based on your photos and requirements. Please see the “How It Works” section for more details.